Leeches have been used in medicine long time before BC. In recent years medical leech therapy has gained increasing interest in reconstructive surgery and pain management and other medical fields. The possible indications and success rates of this treatment are discussed. There is a special interest in salvage of flaps and grafts by the use of medical leeches. Retrospective analysis indicates a success rate of >80%. Randomized controlled trials have been performed in osteoarthritis. Case reports and smaller series are available for the treatment of chronic wounds, post-phlebitic syndrome and inflammatory skin diseases. The most common adverse effects are prolonged bleeding and infection by saprophytic intestinal bacteria of leeches. Medical leech therapy is a useful adjunct to other measures wound management. Therapy with leeches is one of the oldest minor invasive procedures in medicine that was already mentioned 1,500 BC in Egypt. Sanskrit writings described leech therapy from 1,300 BC on. Hippocrates introduced leech therapy in Greece but the method was also known to ancient Mesopotamians, Egyptians and Aztecs, and Mayans. Medical leech therapy is part of the concept of the Greko-Arab Unani System of Medicine . The procedure has seen a first renaissance in the 18th and early 19th century when it became extremely popular again. This has led to an eradication of naturally occurring leeches in Ireland where leech export was an important trade . Medical leech therapy reemerged in the 70ies of the last century as an adjuvant to surgery. In 2004 the FDA approved medical leeches as medical devices in plastic and reconstructive surgery . Leeches are hermaphroditic, bloodsucking annelid worms. Medicinal leeches belong to the order Arhynchobdellida, family Hirudinidae. Only 15 of the more than 600 of the known species are classified as medical leeches, such as Hirudo medicinalis, H. verbana and H. orientalis . H. medicinalis has 33 to 34 body segments, is brown or black, and has six long reddish stripes on the back. The cylindrical body is slightly flattened and can measure up to 20 cm. Although they have 5 pairs of eyes they use the olfactory system to find their hosts. Adult animals have two suckers at the end of their body, a large posterior sucker and a smaller disc-shaped on the head that contains the mouths with tree jaws (Fig. 1). Figure 1: Disc-shaped sucker on the head of a medical leech. Jaws consist of up to 100 teeth and salivary glands that release more than 100 known substances. Hirudin is the most powerful natural thrombin inhibitor. Hirudin works in synergy with two Factor Xa inhibitors, i.e. antistasin and ghilanten also found in the saliva of this worm. Calin is a platelet adhesion and activation inhibitor. Hyaluronidase supports the spread of active saliva compounds in the tissue. Destabilase dissolves fibrin. Bdellin, eglins and hirustatin are anti-inflammatory substances with protease inhibitory activity. There is a number of neurotransmitters like dopamine or serotonin in the saliva that reduce pain perception in the host. Acetylcholine works as a vasodilator . Leeches can survive a year from a single blood meal, were they ingest about 10 times of their own body weight . Only medical leeches from serious suppliers should be used. Wild animals increase the risk of severe infections . The site where leeches are to be placed should be clean and free of ointments, pasts etc. Cleaning can be done by sterile Ringer solution, physiological sodium chloride solution or sterile water. Leeches are fast and elegant swimmers in water (“sweet water dolphins”). And they can move rapidly on the patient’s skin as well. To apply them correctly, a 5 ml syringe were the nozzle was removed by scissor, can be used. The leech is placed into the prepared syringe and the syringe is directly applied on the skin surface to be treated with its open end. When the leech is feeding, the syringe is removed . Some authors use anchoring sutures on medical leeches to ensure that the leeches stay in place. In a small trial no adverse effect on leech survival was noted by such a method . The question remains whether this will negatively affect the feeding behavior. The number of leeches applied depends on the size of the area that has to be treated. The Iowa Head and Neck Protocol recommends to applied leeches every 2 hours. The spots where the leeches are placed should be changed. The duration of leech treatment is until recovery of the compromised flap, mostly about one week . For other indications different schedules may be more appropriate. A single feeding lasts up to 60 min. After that the leech stops sucking and can gently be removed. Actively feeding leeches should not be pulled off. Forced detachment by a forceps or chemicals can lead to regurgitation of the leech stomach contents into the wound [4,6]. Wounds after leech biting lose some blood and may be oozing for about 24 hours  (Fig. 2). 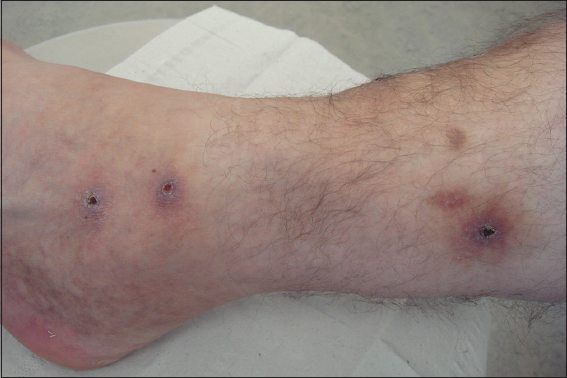 Figure 2: Three bite marks two days after medical leech therapy of post-phlebitic syndrome. Wounds should be disinfected and covered by a sterile dressing. Repeated application of heparin or sodium chloride has been recommended to stimulated hemorrhage from these wounds . 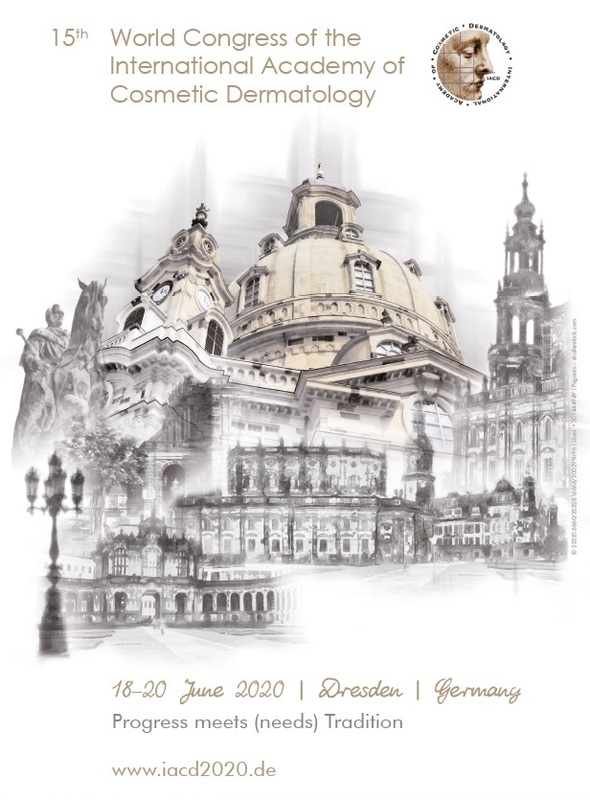 Although large randomized controlled trails are completely missing in the field of medical leech therapy we will present indications and results. Please be aware of these limitations. Medical leeches are extremely helpful in salvage of venous outflow compromised pedicle and free flaps. Leeches are used in the critical phase postoperatively in the dusky areas of a flap (Fig. 3). Animal studies suggested that leech therapy replaces congestive venous blood by fresh arterial blood improving survival of tissue . Figure 3: Medical leech for nasal flap salvage. The treatment resulted in complete flap survival. Initially leeches may be necessary more often than just once daily for. Treatment is continued a couple of days until the flap recovers and venous congestion is overcome [10–17]. However, success rate is not 100% in particular in patients with lower hemoglobin levels and a need of more erythrocyte transfusions . Leeches will not attach to dead flaps . The success rate – complete and partial salvage – is 81.9 % (Table 1). Leeches have also been used successfully to compensate venous congestion in replants of fingers, toes or nose . Leech therapy increases perfusion resulting in hyperemia in dynamic and blood phases of Tc-99 m HDP bone scintigraphy . Hirudin in leech saliva increases the level of messenger RNA for the vascular endothelial growth factor (VEGF) and VEGF expression in flap vessels . Leeches can reduce postsurgical and posttraumatic hematomas (Fig. 4). This may help to salvage flaps and grafts  – or testicles in case of scrotal hematoma . Evidence level is low (V) since no trials have been published. 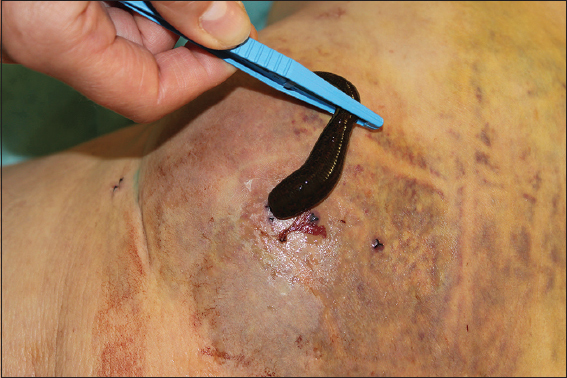 Figure 4: Application of a medical leech on a postsurgical hematoma. Leeches are used in pain syndromes of various origins. The pain relief is rapid and sometimes long-lasting . There are reports on successfully leech therapy in severe cancer pain . Studies in osteoarthritis argue for symptomatic improvement by leech therapy by analgesic and anti-inflammatory effects . An open trial in 32 patients with osteoarthritis leech therapy improved pain, stiffness and movement of joints . In a randomized trial with 52 patients with either leech therapy or transcutaneous electrical nerve stimulation (TENS) their osteoarthritis of the knee responded significantly better to leeches. That was in particular relevant in pain reduction and improvement of the Lequesne’s index . The Lequesne’s index scores the severity of knee osteoarthritis by three dimensions: (I) pain or discomfort, (II) maximum distance walked, and (III) activities of daily living. In a meta-analysis of four trials where 237 patients with osteoarthritis were included there was strong overall evidence for immediate and short-term pain reduction. The authors also found evidence for immediate improvement in patients’ physical function, and both immediate and long-term improvement in joint stiffness. Leech therapy was not associated with any serious adverse events . Application of medical leeches for the treatment of varicose leg ulcers decreased edema, limb girth, and improved ulcer healing . In a randomized controlled study 50 patients with varicose veins were treated either by compression therapy or by medical leech therapy. After two months the group with medical leech therapy (n = 30) achieved a significant reduction in pain, edema and hyperpigmentation . Leeches diminish the time of healing in post-phlebitic syndrome . Since anticoaguagulant therapy is a contraindication for medical leeches (see below) this may limit the use of medial leech therapy in particular in venous leg ulcer patients. On the other hand, there is evidence level I for compression therapy for venous leg ulcers and leeches are not a substitute for medical compression. There are case reports on the successful use of medical leech therapy for diabetic foot ulcers to salvage the leg . Here, the monitoring of the treatment must be especially careful to avoid leech-borne infection. 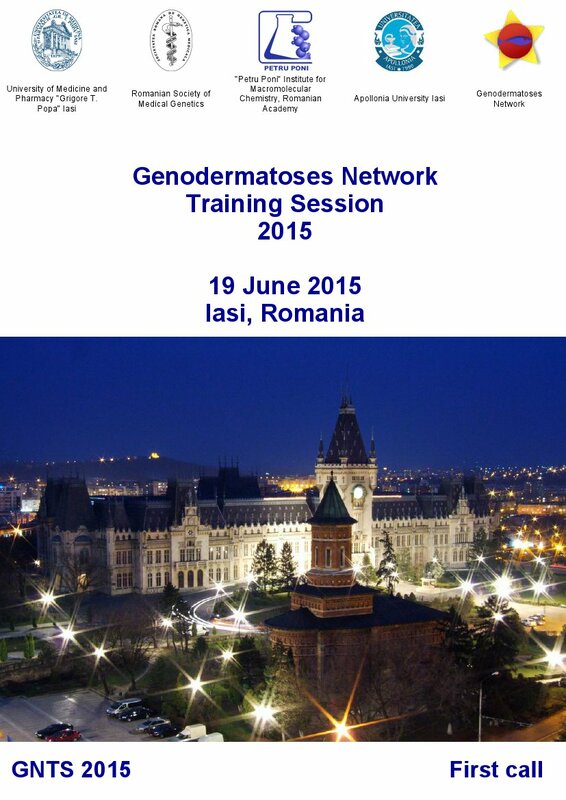 In an open label study 27 patients with atopic eczema participated. Medical leech therapy was performed once a week for at least four times. The effects were measures by Eczema Area and Severity Index (EASI) score, SCORing of Atopic Dermatitis (SCORAD) Index, and Dermatology Life Quality Index (DLQI). The number leeches gives dependent on the size of the lesions. No concomitant treatment was applied. Reduction of EASI was 54.5%, of SCORAD 55%, and DLQI improved by 62.4% . Leech application on five times reduced the hyperpigmentation of a nevus of Ota in a 23-year-old female patient from India . Prolonged bleeding of up to ten hours can be observed from time to time after medical leech therapy [21,35]. Usually, bleeding can be stopped by pressure but sometimes a primary suture might be necessary . Repeated application of large numbers of leeches can cause anemia that needs transfusion. Control of hemoglobin during medical leech therapy is recommended . Medical leeches may cause primarily local infections at a rate of 2 to 25 %. The infections are due to microbiota of the leech. A number of species have been characterized form the midgut of Hirudis spp.Morganella morganii, Rikenella, and Aeromonas veronii are dominant members but bacteria like Magnetospirillium spp. and Roseospira marina have also been detected . In a US multicenter trial antimicrobial prophylaxis was documented in 91.5% of the included patients. Surgical site infection was observed in 11.9% of patients – all of them received antibiotic prophylaxis. In four infections Aeromonas spp. was isolated. Aeromonas spp. are Gam-negative bacteria that live symbiotically in the leech intestine. Those isolates were resistant to the antibiotic agents used in prophylaxis. It was found that trimethoprim-sulfamethoxazole and ciprofloxacin were equally effective appear in preventing leech-associated infections . However, ciprofloxacine-resistant Aeromonas infections have been reported [39,40]. 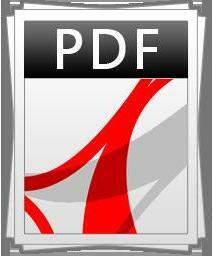 In a retrospective study from Belgium wound infections were registered 27.5%. Levofloxacin has been recommended for prophylaxis of Aeromonas infection . Other authors suggested dipping the leech in 0.02% chlorhexidine solution to reduce the infectious risk . The development of inflammatory epidermal cysts has been observed after leech therapy with unidentified species, probably due to infection . A very rare adverse effect of medical leech therapy is the development of diffuse pseudolymphoma [43, 44]. Allergic reactions have been described in rare cases. In selected patients hirudin was identified as possible allergen, in others the cause remained obscure [45, 46]. Local irritant contact dermatitis is another possible adverse reaction . Another aspect of safety has been stressed by Siddall et al. (2007) who investigated commercially available leeches by molecular methods. They identified H. verbana in a number of cases instead of orderedH. medicinalis . There are some disorders that are absolute contraindications to medical leech therapy such as blood clotting disorder (e.g. hemophilia), severe anemia, arterial insufficiency, hematological malignancies, hypotension, septic disorders, known allergic reaction to active ingredients of the leech saliva (hirudin, hyaluronidase, destabilase, etc. ), and patient refusal to leech therapy. Pregnancy and lactation are contraindication due to the risk of infection and bleeding. Patients on anticoagulants and immunosuppressive therapy should not be treated with leeches. Anticoagulants will increase the risk of major bleeding. Immunosuppression increases the risk of infections. Since erythrocyte transfusions may be necessary during medical leech therapy, patients who refuse transfusions should not be treated by leeches . Medical leech therapy is an effective treatment modality in plastic and reconstructive surgery for flap salvage, in the treatment of hematomas, post-phlebitis syndrome, and possibly for chronic wounds. There is very limited experience for other diseases. The most important adverse effect is the risk of leech-borne infection with Aeromonas spp. Prophylactic antibiosis can decrease this risk factor. The risk of anemia warrants hemoglobin control. 1. Lone AH, Ahmad T, Anwar M, Habib S, Sofi G, Imam H, Leech therapy – a holistic approach of treatment in unani (greeko-arab) medicineAnc Sci Life 2011; 31: 31-5. 2. Sawyer RT, History of the leech trade in Ireland, 1750-1915: microcosm of a global commodityMed Hist 2013; 57: 420-41. 3. Rados C, Beyond bloodletting: FDA gives leeches a medical makeoverFDA Consum 2004; 38: 9. 4. Hildebrandt JP, Lemke S, 2011. Small bite, large impact – saliva and salivary molecules in the medical leech, Hirudo medicinalisNaturwissenschaften 2011; 98: 995-1008. 5. Slesak G, Inthalad S, Strobel M, Marschal M, Hall M, JrNewton PN, Chromoblastomycosis after a leech bite complicated by myiasis: a case reportBMC Infect Dis 2011; 11: 14. 6. Mumcuoglu KY, Recommendations for the use of leeches in reconstructive plastic surgeryEvid Based Complement Alternat Med 2014; 2014: 205929. 7. Davila VJ, Hoppe IC, Landi R, Ciminello FS, The effect of anchoring sutures on medicinal leech mortalityEplasty 2009; 9: e29. 8. Colombo MR, Iowa Head and Neck ProtocolsMedical Leech Therapy on Head and Neck Patients 2013; accessed on April 4, 2015Aveilable from: https://wiki.uiowa.edu/display/protocols/Leech+Therapy+-+Anticoagulation+Protocols. 9. Kashiwagi K, Hashimoto I, Abe Y, Kotsu K, Yamano M, Nakanishi H, Quantitative analysis of hemodynamics of congested island flaps under leech therapyJ Med Invest 2013; 60: 213-20. 10. Jose M, Varghese J, Babu A, Salvage of venous congestion using medicinal leeches for traumatic nasal flapJ Maxillofac Oral Surg 2015; 14: Suppl 1251-4. 11. 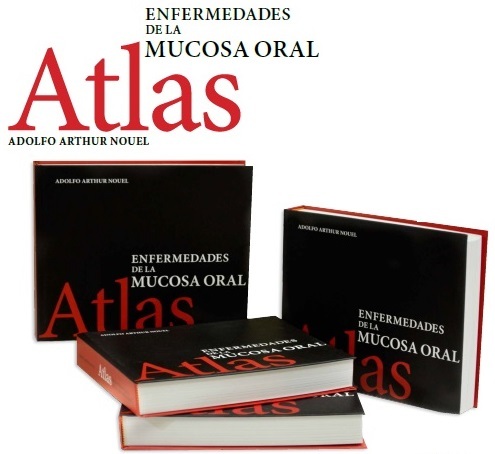 Elyassi AR, Terres J, Rowshan HH, Medicinal leech therapy on head and neck patients: a review of literature and proposed protocolOral Surg Oral Med Oral Pathol Oral Radiol 2013; 116: e167-72. 12. 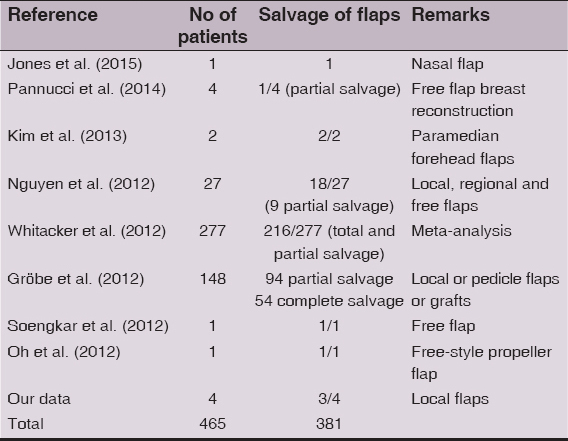 Nguyen MQ, Crosby MA, Skoracki RJ, Hanasono MM, Outcomes of flap salvage with medicinal leech therapyMicrosurgery 2012; 32: 351-7. 13. Pannucci CJ, Nelson JA, Chung CU, Fischer JP, Kanchwala SK, Kovach SJ, Medicinal leeches for surgically uncorrectable venous congestion after free flap breast reconstructionMicrosurgery 2014; 34: 522-6. 14. Gröbe A, Michalsen A, Hanken H, Schmelzle R, Heiland M, Blessmann M, Leech therapy in reconstructive maxillofacial surgeryJ Oral Maxillofac Surg 2012; 70: 221-7. 15. Kim JH, Kim JM, Park JW, Hwang JH, Kim KS, Lee SY, Reconstruction of the medial canthus using an ipsilateral paramedian forehead flapArch Plast Surg 2013; 40: 742-7. 16. Soengkar A, Kusumastuti N, Haryanti KD, Adib A, Medicinal leech therapy as an alternative treatment for vein problems after free flap surgery: a case reportJurnal Plastik Rekonstruksi 2012; 1: 543-7. 17. Oh TS, Hallock G, Hong JP, Freestyle propeller flaps to reconstruct defects of the posterior trunk: a simple approach to a difficult problemAnn Plast Surg 2012; 68: 79-82. 18. Marsden NJ, Kyle A, Jessop ZM, Whitaker IS, Laing H, Long-term outcomes of microsurgical nasal replantation: review of the literature and illustrated 10-year follow-up of a pediatric case with full sensory recoveryFront Surg 2015; 2: 6. 19. Ozyurt S, Koca G, Demirel K, Bask?n A, Korkmaz M, Findings of bone scintigraphy after leech therapyMol Imaging Radionucl Ther 2014; 23: 25-7. 20. Yingxin G, Guoqian Y, Jiaquan L, Han X, Effects of natural and recombinant hirudin on VEGF expression and random skin flap survival in a venous congested rat modelInt Surg 2013; 98: 82-7. 21. Riede F, Koenen W, Goerdt S, Ehmke H, Faulhaber J, Medicinal leeches for the treatment of venous congestion and hematoma after plastic reconstructive surgeryJ Dtsch Dermatol Ges 2010; 8: 881-8. 22. Goessl C, Steffen-Wilke K, Miller K, Leech therapy for massive scrotal hematoma following percutaneous transluminal angioplastyJ Urol 1997; 158: 545. 23. Koeppen D, Aurich M, Rampp T, Medicinal leech therapy in pain syndromes: a narrative reviewWien Med Wochenschr 2014; 164: 95-102. 24. Kalender ME, Comez G, Sevinc A, Dirier A, Camci C, Leech therapy for symptomatic relief of cancer painPain Med 2010; 11: 443-5. 25. Nouri M, Karimi-Yarandi K, Etezadi F, Amirjamshidi A, Leech therapy for pain relief: Rational behind a notionSurg Neurol Int 2012; 3: 159. 26. Rai PK, Singh AK, Singh OP, Rai NP, Dwivedi AK, Efficacy of leech therapy in the management of osteoarthritis (Sandhivata)Ayu 2011; 32: 213-7. 27. Stange R, Moser C, Hopfenmueller W, Mansmann U, Buehring M, Uehleke B, Randomised controlled trial with medical leeches for osteoarthritis of the kneeComplement Ther Med 2012; 20: 1-7. 28. Lauche R, Cramer H, Langhorst J, Dobos G, A systematic review and meta-analysis of medical leech therapy for osteoarthritis of the kneeClin J Pain 2014; 30: 63-72. 29. Bapat RD, Acharya BS, Juvekar S, Dahanukar SA, Leech therapy for complicated varicose veinsIndian J Med Res 1998; 107: 281-4. 30. Nigar Z, Alam MA, Effect of taleeq (leech therapy) in dawali (varicose veins)Anc Sci Life 2011; 30: 84-91. 31. Eldor A, Orevi M, Rigbi M, The role of the leech in medical therapeuticsBlood Rev 1996; 10: 201-9. 33. Shankar KM, Rao SD, Umar SN, Gopalakrishnaiah V, A clinical trial for evaluation of leech application in the management of Vicarcik? (Eczema)Anc Sci Life 2014; 33: 236-41. 34. Rastogi S, Chaudhari P, Pigment reduction in nevus of Ota following leech therapyJ Ayurveda Integr Med 2014; 5: 125-8. 35. Haycox CL, Odland PB, Coltrera MD, Raugi GJ, Indications and complications of medicinal leech therapyJ Am Acad Dermatol 1995; 33: 1053-5. 37. Whitaker IS, Maltz M, Siddall ME, Graf J, Characterization of the digestive tract microbiota of Hirudo orientalis (medicinal leech) and antibiotic resistance profilePlast Reconstr Surg 2014; 133: 408e-18e. 38. Kruer RM, Barton CA, Roberti G, Gilbert B, McMillian WD, Antimicrobial prophylaxis during Hirudo medicinalis therapy: a multicenter studyJ Reconstr Microsurg 2015; 31: 205-9. 39. van Alphen NA, Gonzalez A, McKenna MC, McKenna TK, Carlsen BT, Moran SL, Ciprofloxacin-resistant Aeromonas infection following leech therapy for digit replantation: report of 2 casesJ Hand Surg Am 2014; 39: 499-502. 40. Giltner CL, Bobenchik AM, Uslan DZ, Deville JG, Humphries RM, Ciprofloxacin-resistant Aeromonas hydrophila cellulitis following leech therapyJ Clin Microbiol 2013; 51: 1324-6. 41. Bauters T, Buyle F, Blot S, Robays H, Vogelaers D, Van Landuyt K, Vanhove W, Claeys G, Prophylactic use of levofloxacin during medicinal leech therapyInt J Clin Pharm 2014; 36: 995-9. 42. Rasi A, Faghihi A, Jalali MA, Zamanian A, Ghaffarpour G, Leech therapy for epidermoid cysts and review of the literatureAdv Biomed Res 2014; 3: 112. 43. Altamura D, Calonje E, Liau Jl, Rogers M, Verdolini R, Diffuse cutaneous pseudolymphoma due to therapy with medicinal leechesJAMA Dermatol 2014; 150: 783-4. 44. Khelifa E, Kaya G, Laffitte E, Cutaneous pseudolymphomas after leech therapyJ Dermatol 2013; 40: 674-5. 45. Pietrzak A, Kanitakis J, Tomasiewicz K, Wawrzycki B, Kozłowska-Łój J, Dybiec E, Chodorowska G, Cutaneous complications of improper leech applicationAnn Agric Environ Med 2012; 19: 790-2. 46. Blaise S, Le Brun V, Sparsa A, Delrous JL, Bonnetblanc JM, Contact dermatitis with Hirudo medicinalisAnn Dermatol Venereol 2002; 129: 1380-2. 47. Karadag AS, Calka O, Akdeniz N, Cecen I, A case of irritant contact dermatitis with leechCutan Ocul Toxicol 2011; 30: 234-5. 48. Siddall ME, Trontelj P, Utevsky SY, Nkamany M, Macdonald KS, Diverse molecular data demonstrate that commercially available medicinal leeches are not Hirudo medicinalisProc Royal Soc B 2007; 274: 1481-7.